Recently evaluated cameras for an upcoming video project. My first choice? 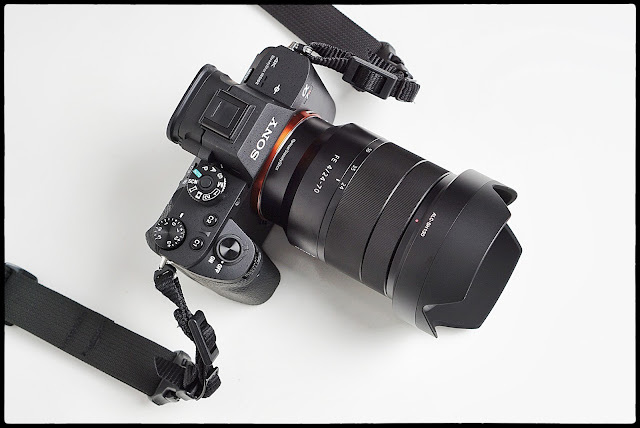 A Sony A7R2. But why? Sony A7R2. Want one? Buy it here. Video production is a weird thing. You have a lot of people who came up through traditional video production pathways. For them the over the shoulder camcorder, with all the right connections, is the preferred equipment combination for just about any project. And it makes perfect sense. You have a package that combines good video codecs with all the things traditionalists want: Zebras for exposure control, focus peaking for accurate focusing, XLR connectors for balanced microphones, as well as power zooms, and a camera body that can be balanced over one shoulder. Sounds cool, right? But not to me. I like the idea of shooting to a form factor that's familiar to me. I came up through a different set of gear traditions. To me, something like a DSLR or mirrorless camera seems more practical and familiar. And a camera on a tripod is even more familiar.